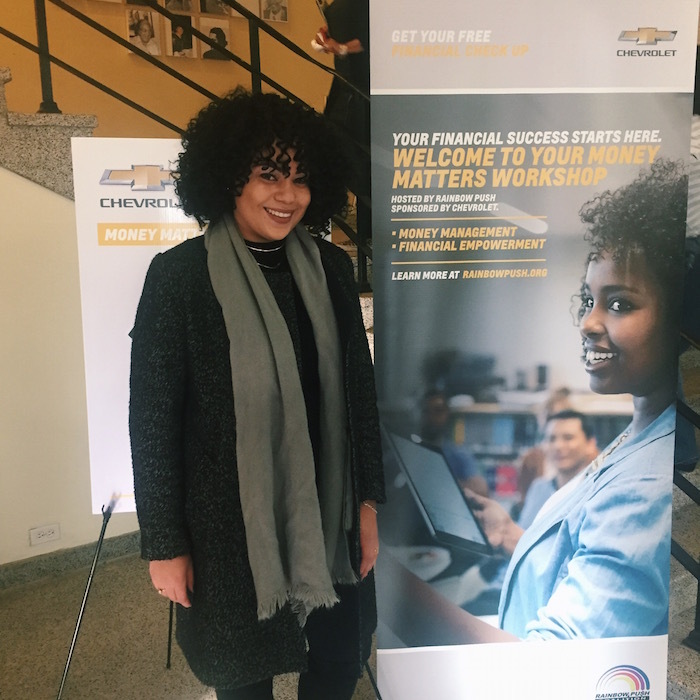 I’m SO happy that I had the opportunity to attend the #PUSHMoneyMatters workshop yesterday. I can’t believe how much amazing information was made available completely for free! The speaker also focused on how important credit can be even when looking for a job. Companies actually use your credit information to evaluate you as an individual. Unfortunately, a low credit score can allow them to pre-judge you as an irresponsible person. Credit controls so much of our lives and it’s important to work towards never letting it negatively affect us. The next session on budgeting was one that I was definitely looking forward to, especially in my current stage of life. My main focus right now is saving money, however I definitely enjoy treating myself with a bit (or sometimes a lot) of shopping and out of state trips. However, I do understand that if I ever want to hit my savings goal, better budgeting is a must. This workshop focused on the benefits of creating a balance sheet and really forcing ourselves to see where every dollar is going. It can help you to quickly see what areas you may be overspending in and where exactly you could cut back. All of this information really got me thinking and I know that I can take all of these tips and apply them to my own finances. I can’t even begin to stress the importance of being financially literate. I actually loved seeing how many high school and college students were in attendance at this workshop because all of this is something that is better off learned young. It's so much easier to get ahead than trying to dig yourself out of a hole. Though money is not everything, it does play a leading role in our lives. Therefore, truly understanding how it works and having the right tools can definitely lead you to financial success and with a lot less stress in the end. It was a great event! I walked away with some even more financial knowledge espcially doing a better job with my budget. Knowing how to handle your finances is very important. This event was even better than I expected.We can never have too much financial advice. I loved that credit session. I really learned a lot (and here I was thinking I knew all there was to know about it). It was really nice meeting you!